Tucson AZ Orthodontics. Dr. Leo provide affordable orthodontics. Is Orthodontic Treatment right for you? Come find out. The dictionary defines orthodontics as a branch of dentistry focusing on prevention, treatment, and correction of dental irregularities. I define orthodontics as a great way to help you improve your appearance, health, and confidence. You may not realize how much your smile affects your life and well being. If your teeth are crooked, or your jaws are misaligned, every smile comes with a twinge of embarrassment. Every time you open your mouth to speak, you wonder if people are listening intently, or just staring at your teeth. I know. I've been there, and now I want to help you. What you see when you look in the mirror is not just a literal image of yourself - it is also an important factor in shaping your psychological self-image. If you look good, you feel proud. When you flash a smile, you know you are making a good impression. It can make you feel more confident, and competent. When you feel successful, you often are. Imagine walking into a job interview, with a winning smile and an air of confidence – or your child, proudly taking the stage for a school event and flashing the most beautiful smile in the auditorium. That is the power of orthodontics. Braces are versatile. They can correct crooked teeth. They can also correct jaw alignment problems, including crossbite, underbite, and overbite, and help kids avoid future problems. We have options for all ages. Don't think adults can't have straighter teeth! 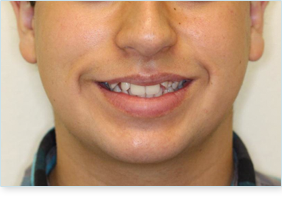 We offer traditional and inconspicuous invisible lingual braces. If you don't want to correct your bite or jaw alignment, we offer fast track cosmetic braces in an average time of 6 weeks to 6 months (note: average time only, individual results vary)! There's an option for everyone. More adults are wearing braces today! Teens love colors on their braces! At this age, orthodontics can help the teeth and the jaws develop correctly, and prevent a lifetime of self-consciousness. Invisible aligners are especially popular with this age group! I want to see your child regularly, beginning at age 7, so I can monitor his or her oral development – and kids love visiting their friend, Dr. Leo. I will explain, to you and your child, if any problems are developing, and discuss the best options. Together, we can choose the best plan for your little one's health and happiness. For a free complimentary consultation, click here to resister as a new patient. Let me give you and your family the beautiful smiles you deserve. 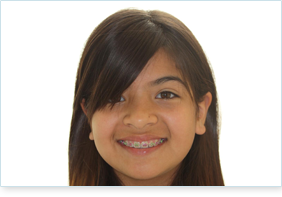 Children can benefit from braces too! What type of retainers do I have to wear? Why did my teeth move after braces?